Natural walk-out lot - one of the last available in the D12 (Cheyenne Mountain) school district. 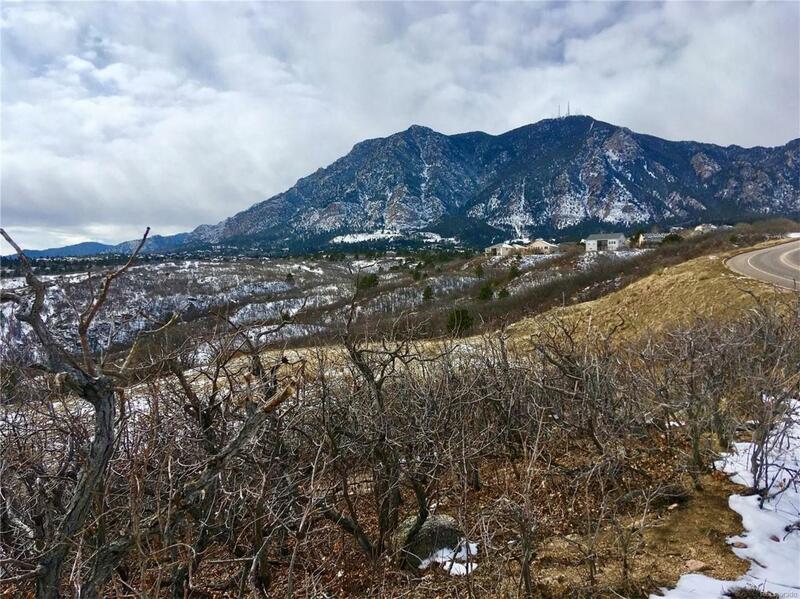 This lot is adjacent to a 1+ acre parcel owned by the city of Colorado Springs. There are no plans for development of the parcel, so your buyers can enjoy extra open space adjacent to their new dream home on this awesome lot. The city has installed caissons on their parcel to stabilize the road, which will benefit your new lot. 360-degree views with unique city views and unobstructed mountain views! Enjoy all the Front Range fireworks from this magnificent location! Close to schools, shopping, downtown, I-25 & Fort Carson. Easy access to the nearby Safeway and Pinon Valley Elementary. Look for additional drone photos coming early next week.